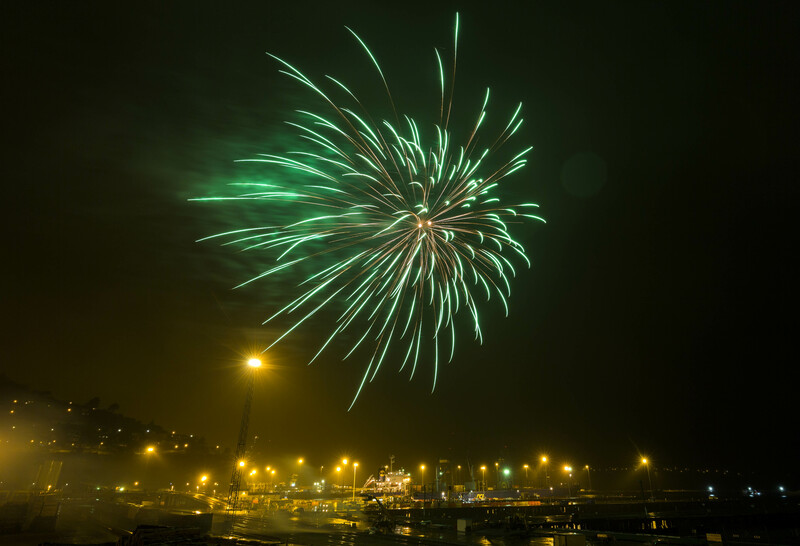 The Lyttelton Harbour Festival of Lights for 2017 had a great turnout, despite the weather doing its best to deter party goers. 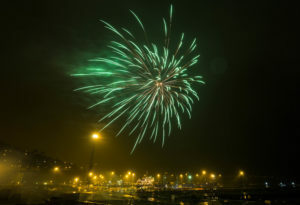 Firework Professionals have been firing the fireworks show down at Port Lyttelton for over a decade now. It’s one of our favourite winter events and one that many of our trainees have worked on to get experience of working in tricky conditions. In previous years we’ve had snow, fog and heavy rain to contend with. This year there was just the rain. Luckily we’re able to fire our shows in just about any weather, except for high wind or lightning storms. And thankfully our rain covers offer no resistance to outbound fireworks, while keeping the un-fired fireworks nice and dry for firing. We’ve found the port is almost ideal for fireworks. With minimal vegetation, excellent security, and most importantly good vantage points for the audience. Fireworks of different sizes need different amounts of space for use, both legally and in practice. Consequently, a close up show will always look bigger to the eye, while also firing more shots per dollar. However, if your audience can’t get to the minimum distance, or if they are spread over a large area, the larger shells will show their worth. They can also burn for much longer, leaving a powerful lasting impression beyond the finale. Firework Professionals manufacture a range of large calibre shells for such occasions. Selecting the right venue for your show is half of the battle, talk to us today!